The Brandywine Health Foundation’s 2013 Strawberry Festival runs through Sunday. 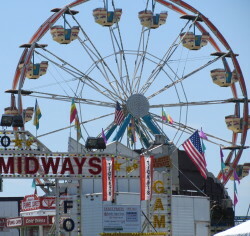 On a sultry summer day, the breeze at the top of the 2013 Strawberry Festival Ferris wheel should beckon. The four-day Brandywine Health Foundation’s extravaganza featuring food, fireworks, entertainment, music, rides, vendors, and other festivities on the grounds of Brandywine Hospital, opened Thursday night to appreciative crowds and will continue through Sunday. 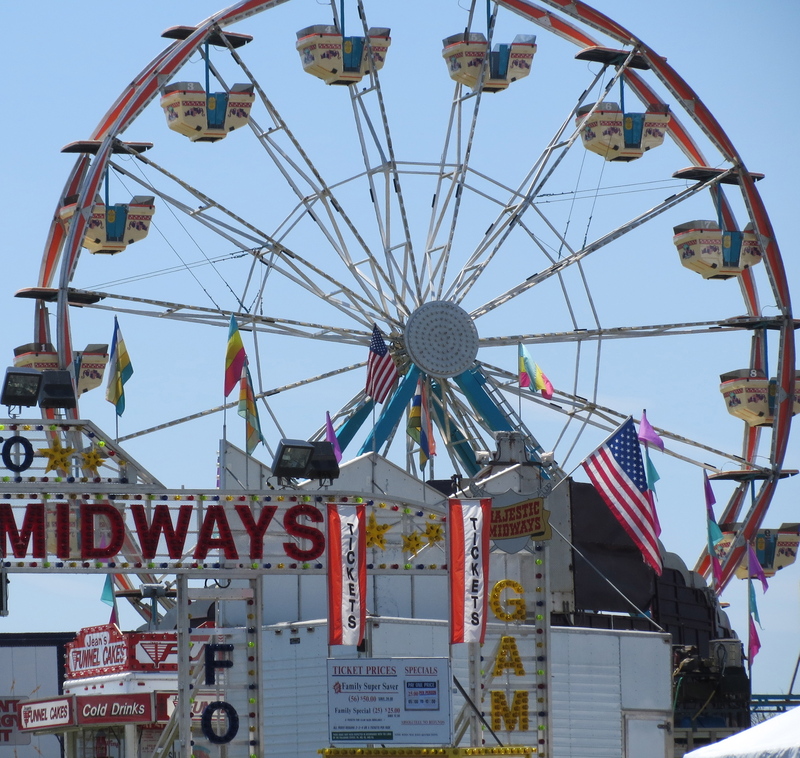 For over four decades, the Strawberry Festival has attracted over 28,000 visitors. This year’s event, presented by PECO and supported by First Niagra, offers numerous incentives to attend. Proceeds will benefit the Coatesville Youth Initiative, a project of the Brandywine Health Foundation, as well as the Coatesville Rotary, the Thorndale Volunteer Fire Company, and the Coatesville Public Library. Heiman said new attractions include “Dippin Dots,” a tasty way to beat the heat with an ice cream treat. She said the National Guard generously donated a Rock Wall for Thursday and Friday nights, a new prize wheel has proven to be a hit with all ages. The Strawberry Stage will feature non-stop live performances throughout the festival. Thursday night Amelia Scalies prevailed in the Battle of the Bands, and performers still on tap include Poor Prognosis, Levi Road and Nicole Zell on Friday; the Lukens Band, The Suits, 74/75, G2, and Pompeo Brothers on Saturday; and 3 Shades of Blue on Sunday. Other highlights will include the fair’s famous strawberry shortcake made possible by Citadel; a fireworks display at 9:45 p.m. Friday, sponsored by Oliver Tyrone Pulver Corp. and the Comprehensive Cancer Care; a Strawberriest Kids Contest on Sunday for children 5 and under; a DNB-sponsored raffle of four prizes worth over $1,000 each; a “Strawberryland” children’s area with moon bounces, inflatable slides and more, courtesy of Herr Foods and Sikorsky Helicopters; and an appearance on Sunday from the Radio Disney road crew, which will organize music, games and prizes. A free nonstop shuttle will transport visitors from the Thorndale Kmart to the fair ground on Friday and Saturday from 5 p.m. to closing. The festival will operate from 5 to 11 p.m. on Friday, 11 a.m. to 11 p.m. on Saturday and noon to 6 p.m. on Sunday. Organizers said in just the past six years, the Brandywine Health Foundation has distributed nearly $500,000 in grants to the greater Coatesville community, courtesy of festival revenue. 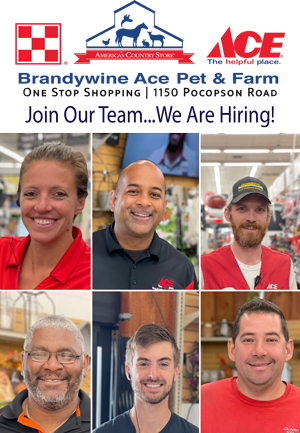 For more information, visit http://brandywinestrawberryfestival.com.